Shopping out of season, using the one in, one out rule and counting to three before buying are just some of the best hacks when saving money on your wardrobe. The penny-pinching gurus at PromotionalCodes.org.uk have taken a look at the best ways you can have a stylish yet practical wardrobe for a fraction of the cost. They recommend sticking to the basics and not conforming to the trends, as well as hitting the charity shops and online auctions. The tips also encourage keeping track of major sales from your favourite stores, not being afraid to DIY and hitting up your student friends for discount codes. A spokesperson from PromotionalCodes.org.uk said: “Spending money on your wardrobe can come at a cost. “Whilst it’s always important to look and feel your best, investing too much money on clothes can be fatal to your bank balance. As fashion is forever changing, sometimes it’s best to stick to the basics. You’ll often find yourself only wearing trendy clothes a few times anyway. Buying plain items of clothing can often be best, and layering items like vests are also useful when transitioning your wardrobe from summer to winter. Buying summer clothes in spring and winter clothes in autumn may seem like a good idea, but actually, this is when you’ll be paying more. If you know you need a new coat, buy it in the summer sale, as this will allow you to get one much cheaper than usual. Keeping all of your clothes in sections in your drawers/wardrobes can actually help you save money. By putting all your t-shirts in one section and your trousers in another section etc. you can see how many items you have of each. This will allow you to keep track of something you might need vs. something that you have too much of. If you’re determined to get a bargain, charity shops are the best place to look. You may not find hidden gems all of the time, but if you look regularly enough you will no doubt spot a gem. Whilst charity shopping is great, it’s important to not get carried away. Only buy things you need or that you know you’ll wear. Using sites and apps that let you buy things from other users are great. If you’ve wanted an item of clothing you can’t find anywhere, simply search for it and someone is bound to be selling it. Be careful when using these sites though. Only buy from well-rated sellers and only pay for items through the app, as then you’ll be covered by buyer’s protection in case anything goes wrong. 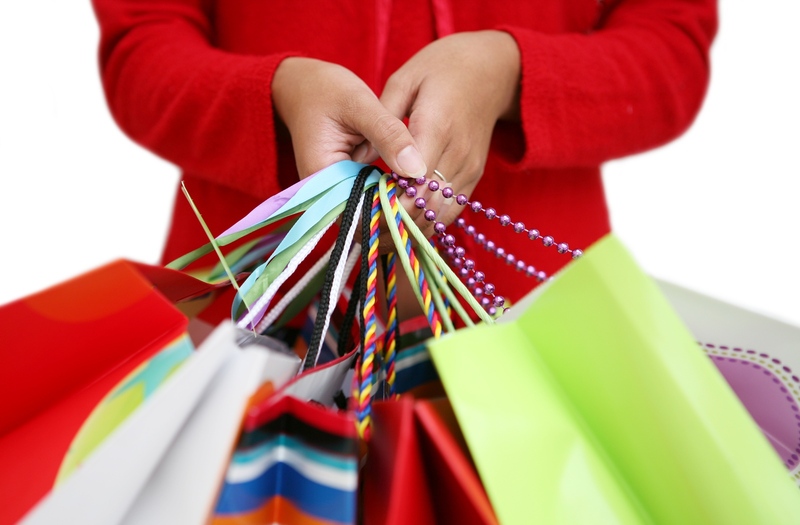 If you love shopping keep track of when your favourite stores have their annual sales. For most stores, there are usually two big seasonal sales a year and two mid-season sales. Some people forget the beauty of DIY. Instead of buying new things every season, why not customise things you already own? This could be putting studs on your jacket collar, adding a tassel hem to an old skirt or even bejewelling a forgotten t-shirt. If you’re thinking about impulse buying something, make yourself a list of three reasons as to why you’re buying it – and it can’t be because you simply ‘want it’. Then, come up with at least three other items in your wardrobe that you can wear the new item with or think of three upcoming occasions when you can wear it. If you’re struggling to think of these then it’s probably best you don’t buy the item. Buy too many clothes? Use this simple rule: For every new piece of clothing you buy, you have to give one to charity or sell something on an online auction. If you’re struggling to find something to get rid of, think about if you’ve worn it in the past year. If the answer is no then you’re probably holding onto it for no reason, so give it away. Did you know that most large retailers offer students around 10% off? If you know somebody that’s a student, ask politely for him or her to give you a code. Check your emails as well, as sometimes retailers will be offering 20%-30% off for students on special days – a perfect chance to grab a bargain.